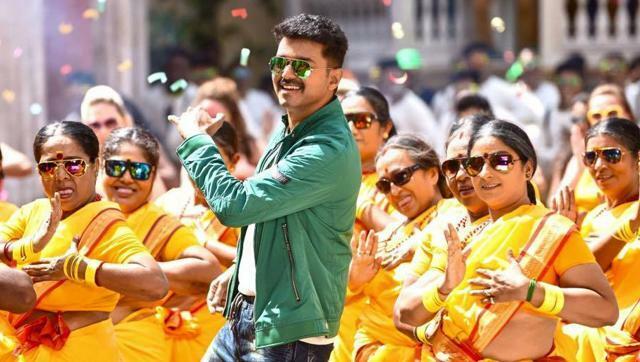 Theri, one of the most expected movies of 2016, hit the screens world wide on Tamil New Year's day. Premier shows were held on April 13th at key overseas markets. Theri managed to become the 1st non-Rajini film to gross $200,000 from US premier shows with a total collections of $214,668 from 127 screens. On Thursday it manged to ring in another $72,883 from 113 screens bringing the total to $287,551. It needs a 'huge' weekend to break-even. In France Theri set All-Time record for premier entries beating Vijay's previous record Thalaivaa. Theri's reported to have collected a total of 49,443€ from premier and Thursday with a total entries of 3471. In Canada Theri started with CAD $36,053 on Wednesday, collections jumped to CAD $64,925 on Thursday bringing the total to CAD $100,978. Canada's a traditional stronghold for Vijay and collections are expected take a huge leap over the weekend. In UK Theri had a humongous opening beating Vijay's previous movies. It has collected £71,240 from just 23 screens and expands to 44 screens on the weekend and also shows are scheduled for Dublin and Belfast. Huge weekend numbers are expected from UK and Ireland.